The year just ended will prove to be a significant one for the United Nations. Two much anticipated agreements were finalized, one on development and another on climate. For life and family advocates they were both overall wins, although not complete. Here is our list of the best moments of 2015. The most important UN agreement on development policy in 20 years has once more shut out a right to abortion. For more than five years, abortion groups coveted a right to abortion in the Sustainable Development Goals, but once more were stopped far short of what they desired. In fact, now there are even more reservations to abortion language in UN policy than there were before. The entire 54-member African Group said on the record that no UN language about “sexual and reproductive health” or “reproductive rights” presumes or could be used to promote a right to abortion. More than that, though, once more so-called homosexual rights were squarely rejected. And, comprehensive sexuality education was also left out. Do you remember a time when fear about the environment immediately triggered concerns about overpopulation? 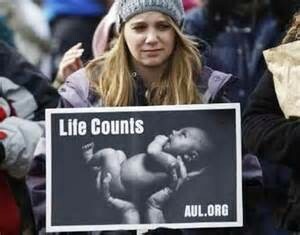 Do you remember the aggressive calls for abortion and contraception, whether or not voluntary, that followed? That time is well past us. Or so it would seem from the most significant UN environmental agreement ever reached this December in Paris. The word “population” doesn’t appear in the agreement even once. Even UN demographers weighed in against making population an issue at all in the Paris negotiations, seemingly agreeing with what the Catholic Church has been saying at the UN for over 50 years. Radical environmentalists were livid. Human Rights Council Adopts Second UN Resolution on the Family. Most of the time, pro-life and pro-family advocates feel as though they are on the back foot at the UN. Most life and family wins at the UN are defensive. This year saw a major development offensively. A resolution on the family in the Human Rights Council in Geneva once again recognized the family as the “natural and fundamental group unit of society” as the Universal Declaration of Human Rights does, but also re-affirmed the family as the “natural environment for the growth and wellbeing of children”, recapitulating language from the Convention on the Rights of the Child. The resolution also recognizes “the family” as a subject of human rights. LGBT groups are still fuming. For fairly obvious reasons, they can’t stand the word “natural” with reference to the family. The General Assembly this year was one of the most socially conservative in recent memory. The sexual left has been wrangling with delegates at the General Assembly for years, because countries inevitably find their suggestions distasteful and inappropriate. But, with the help of influential friends in Europe and the USA the sexual revolutionaries always manage to make some normative gains, however minor. This year they were denied any progress at all. In fact, they had “sexual and reproductive health language” rolled back, and were denied new references to reproductive rights in key resolutions. Sexual orientation and gender identity was kept out of all resolutions, a sound defeat for homosexual pressure groups. Comprehensive sexuality education was such a controversial item that even the Europeans are thinking about rolling it back. Lila Rose rocked a packed house of pro-life students at the annual UN Commission on the Status of Women, the largest gathering of pro-abortion feminists in the world. Four hundred young students rapturously applauded Lila Rose after she asked forgiveness on behalf of the USA for exporting the culture of death to the rest of the world. C-Fam and the Holy See sponsored the event, and the pro-life support at UN headquarters was overwhelming.